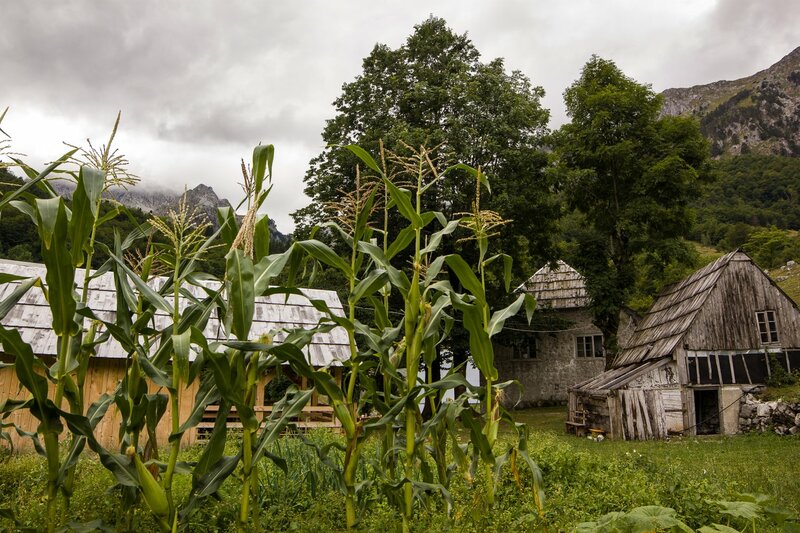 Isolated at the end of the quaint Lipovo Village in central Montenegro, the Dulovic Farm offers a perfect farm stay experience. Here you can measure farm to table in about 8 meters. 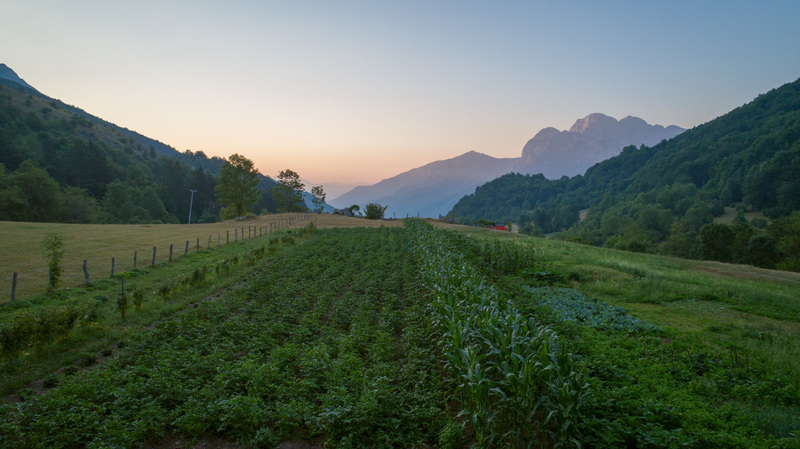 And from the organic garden or the outdoor dining area you can take in the majestic Mount Sinjajevina, Babin Zub, and Crvena Greda Mountains with Mount Bjelasica off in the distance. 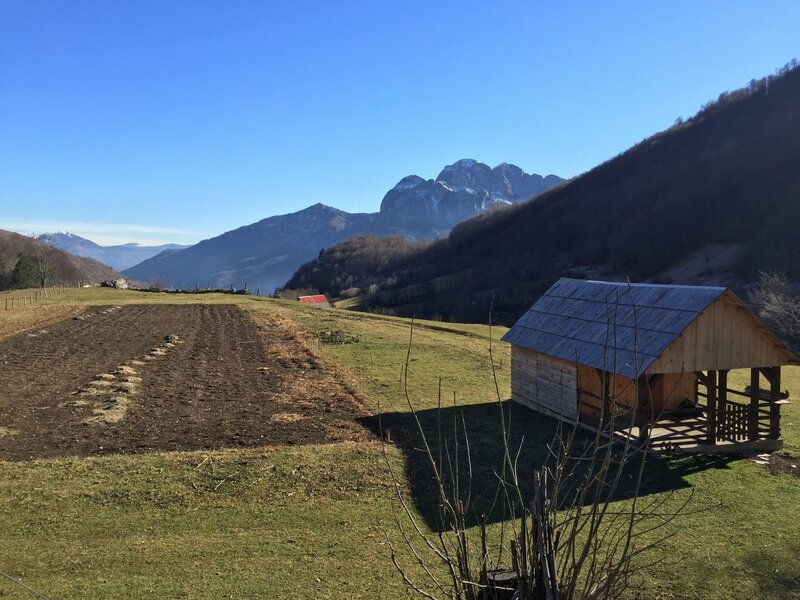 Official hiking trails to the surrounding mountains begin on the Dulović Farm. 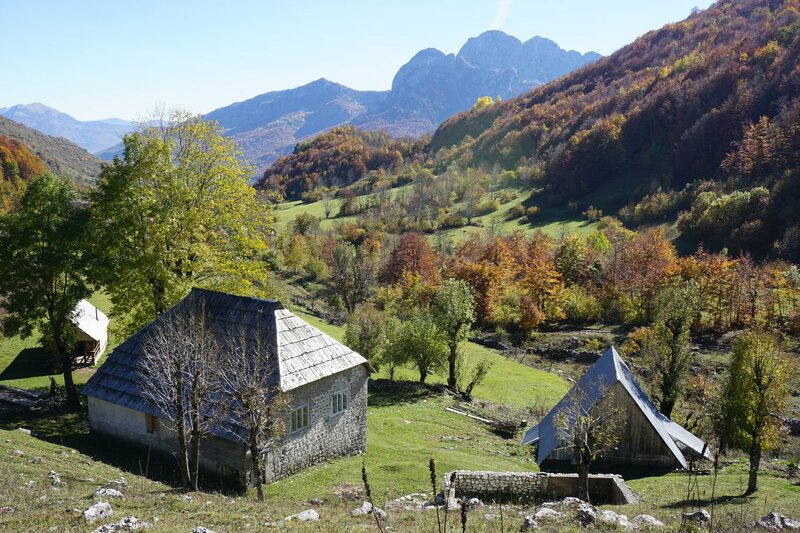 The village road allows access for mountain bikers to Sinjajevina, Bjelasica, and Durmitor mountains. Dragan and Gordana as well as their kids are gracious hosts that model picturesquely the amazing Montenegrin hospitality. 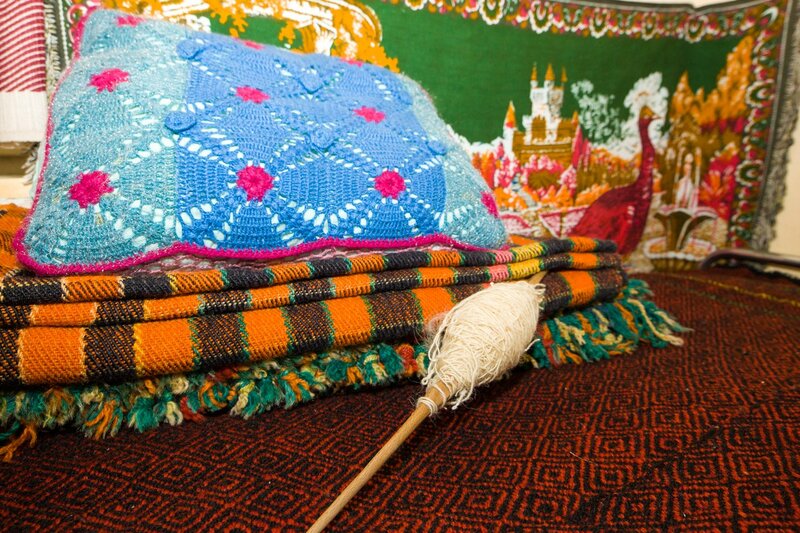 You are welcome to join them in working on the farm or in the kitchen to learn how to make national dishes. 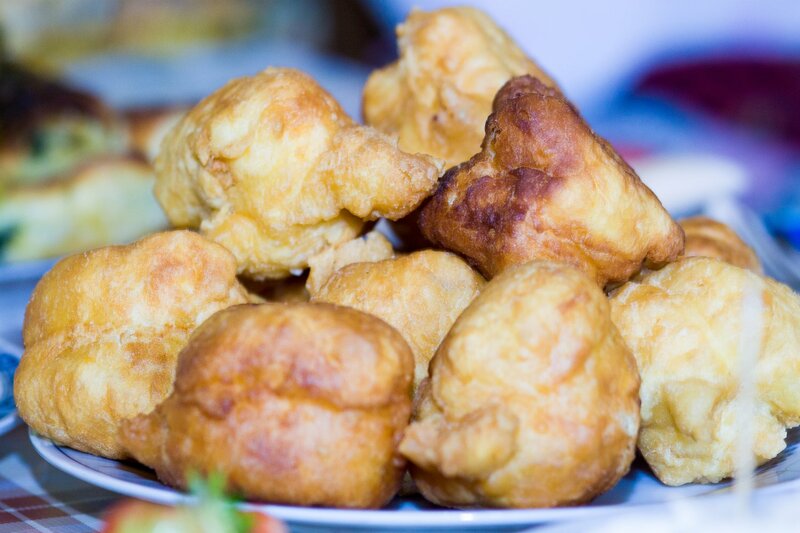 You will try her superb Kolašinski Cheese that she makes daily. 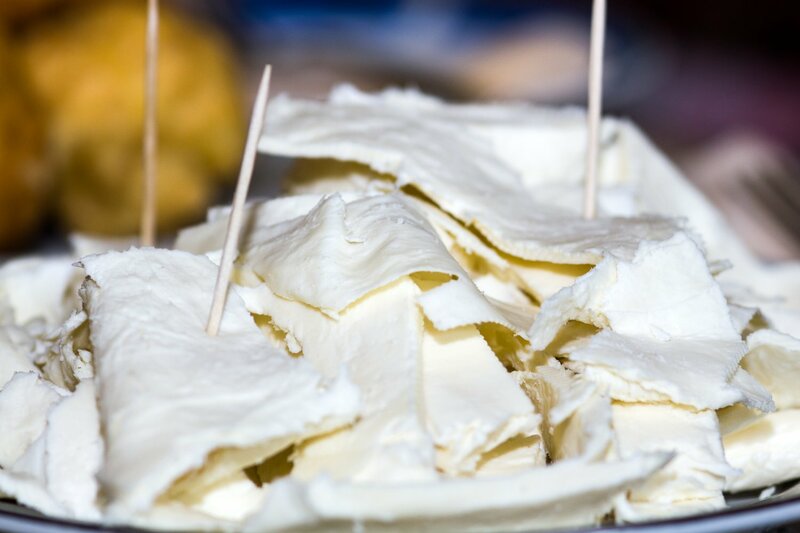 This layered cheese is a favorite throughout Montenegro. The house and barn on the property are picture perfect. 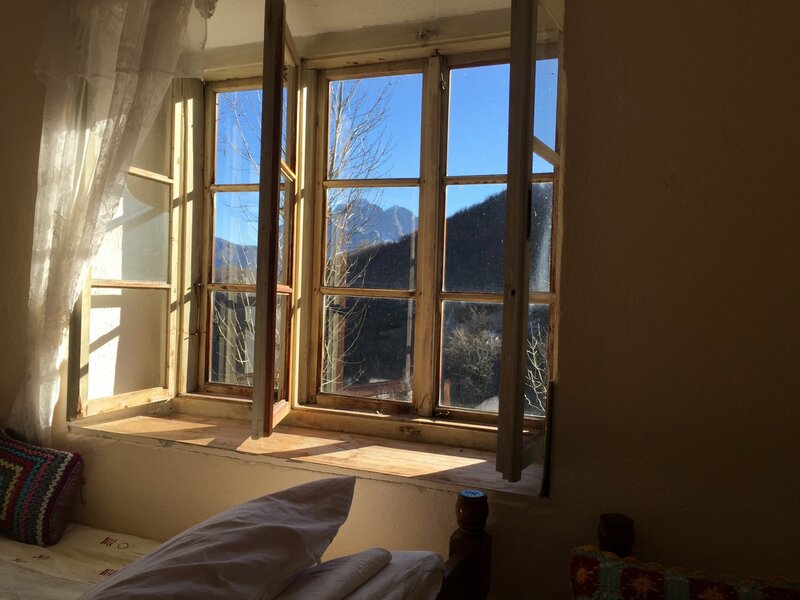 The exteriors evoke the tradition and culture of the country juxtaposed between garden and mountains. 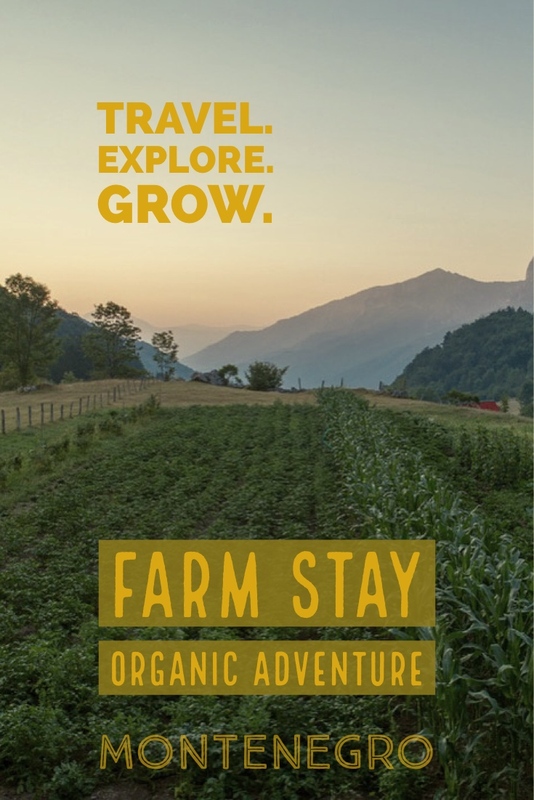 The Dulović Farm is perfect for groups of friends or young family travel. You will have plenty of space, heaps of fresh, organic foods, jaw-dropping nature to enjoy or explore as you adventure, and new experiences to take with you. 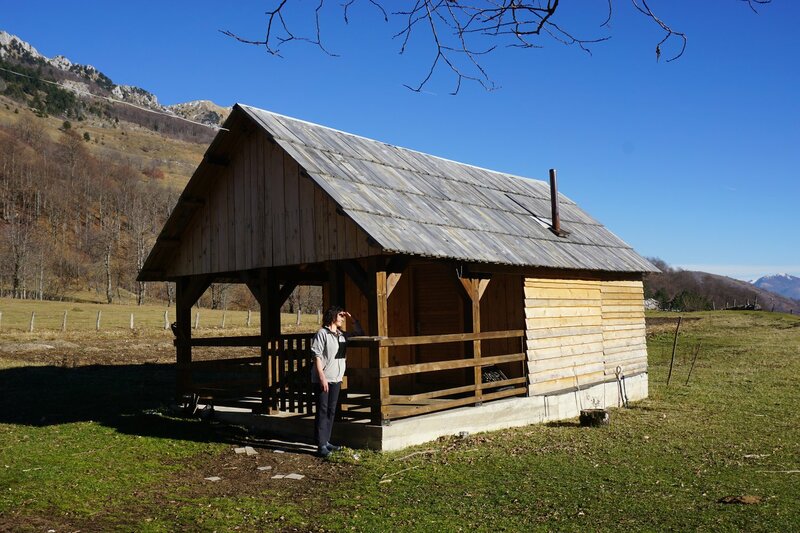 The Dulovic farm stay in upper Lipovo Village is ideal for hikers and mountain bikers as a base for exploration or in a hut to hut scenario. Adventure well! We spent three nights and four days at the Dulovic farm. It is the most isolated and authentic place of all the farms we had been, and one of our preferred ones. A deep silence welcomes you once you come near the old farm situated in the middle of a huge and mysterious forest- the forest surrounds the old farm from three sides, the view of the valley is magnificent, in my opinion even more impressing then any of the views we have seen in the park. In the farm, the tough, energetic Gordona will serve you a great variety of food, soups, home made cheeses and breads, cakes, Yogurt, stuffed potatoes and pepper(stuffed with cheese), etc Everything is provided from the many cows, chicken, pigs and vegetable of the farm. The meals are served in a small wooden kitchen, warmed up by a chimney along a large balkanic table. We are vegeterians, and Gordona had plenty of food to offer us. Gordona and Dragan don’t speak English, but it is compensated by the presence of their children, who speak English more or less good. I hope our hosts will read this, as we had liked to thanks them and to tell them how much we appreciated their hospitality. Our children learned the concept of garden to table by picking carrots that immediately were prepared for a meal. My family stayed at the Dulovic farm as a getaway this summer. We were amazed by not only the beauty of the land, but also its central location to numerous hiking trails. 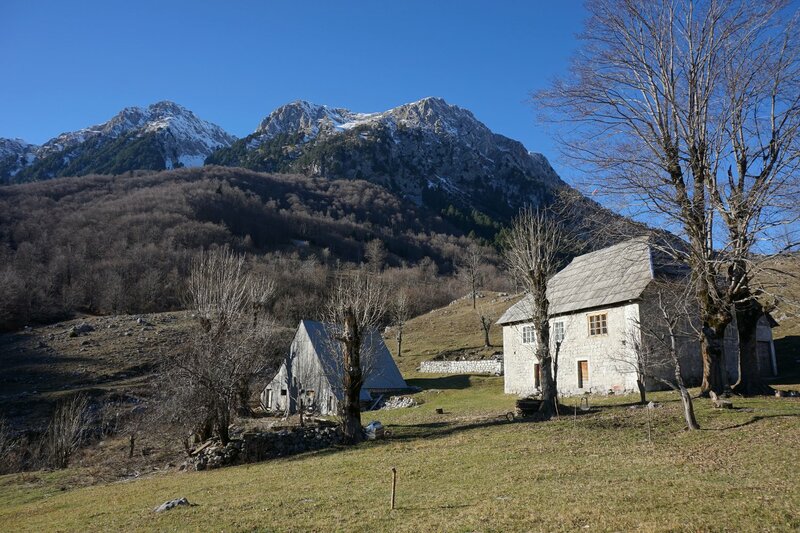 Surrounded by mountains just outside of Kolasin, the Dulovic’s residence is perfectly convenient for the adventure traveler. 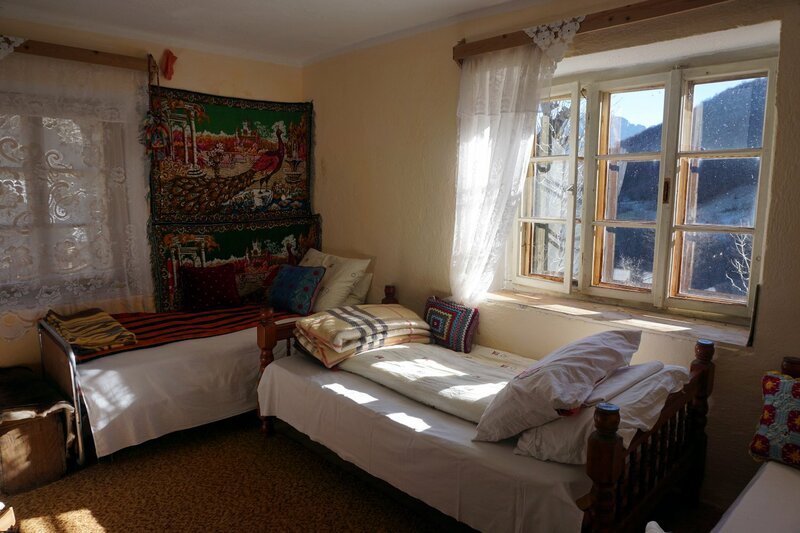 Gordana and Dragan represent the Montenegrin hospitality and open communal feel . Our kids loved their experience taking care of the farm animals (such as picking eggs from coop, feeding the pigs) and harvesting ripe carrots. All meals were provided on the covered patio on a wooden kitchen in the yard. Gordana gave my youngest (18 months) plastic ware for him to play with while the food was being cooked. Our children learned the concept of garden to table by picking carrots that immediately were prepared for a meal. We later enjoyed a short hike and time to lounge in our hammock. We arrived as strangers and left as family. We look forward to another visit in our future. A really spectacular setting...this farm is idyllic. 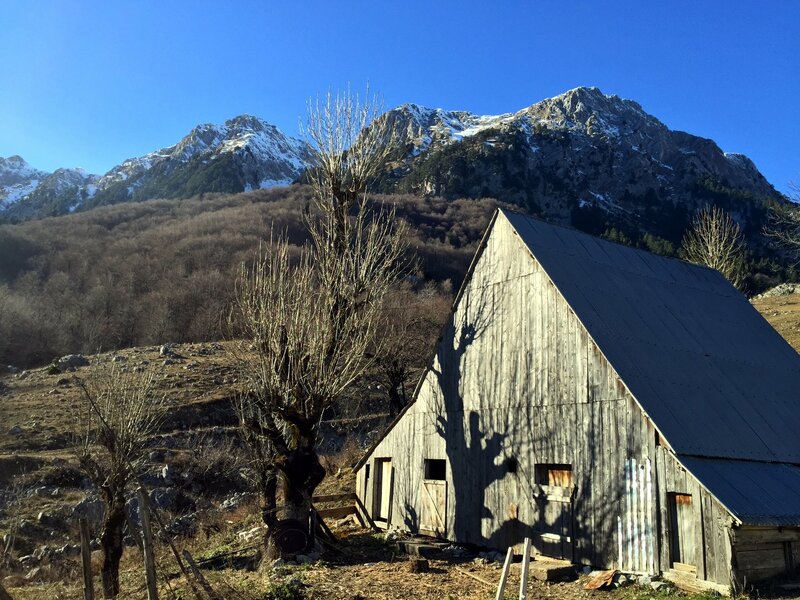 A really spectacular setting in a quite and remote valley surrounded by mountains, this farm is idyllic. 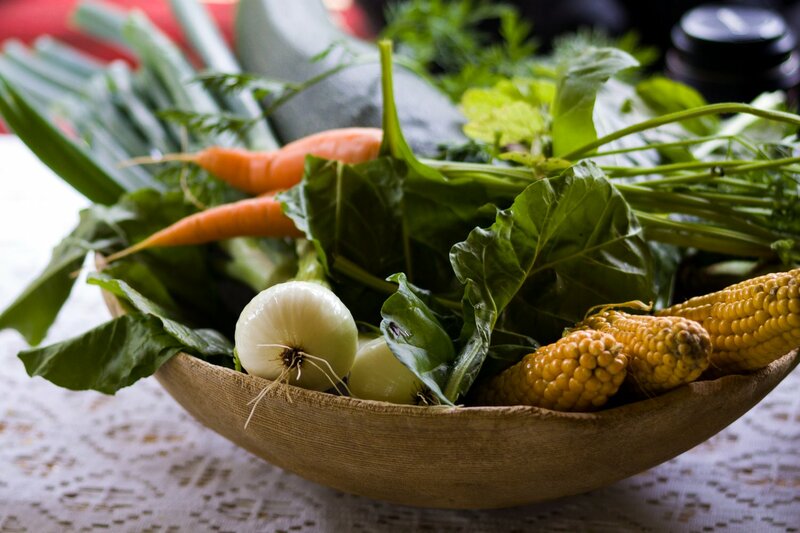 Gordana’s food was amazing – and everything from the garden! We feasted on spinach and cheese pie, bean soup, cheese, homemade bread, cabbage salad and pickles (loads of options for vegetarians). Breakfast (€6.00) This must be a number! Lunch (€7.00) This must be a number! Brown bag (€4.00) This must be a number!